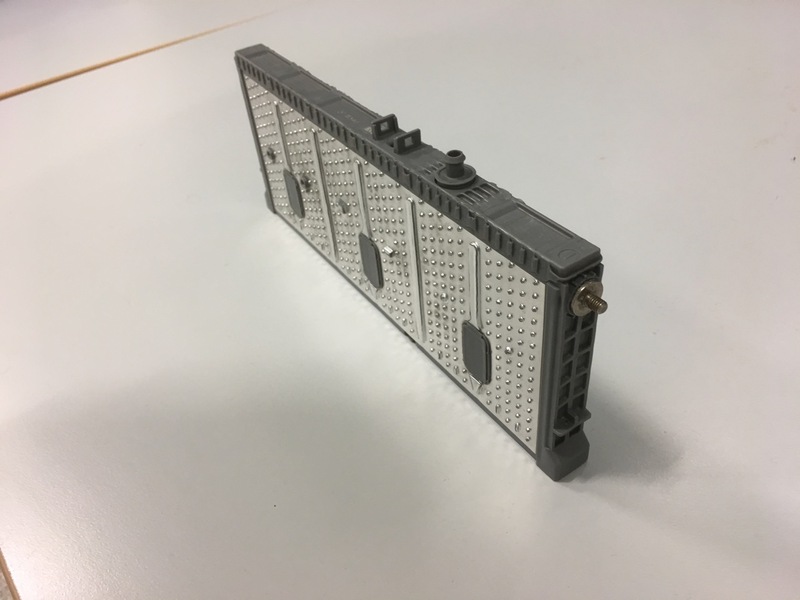 Tactile, beautiful to look at, safe and very colourful; not the latest product from Apple or Tesla, but the new high voltage tool packs from the EHV Safety team at Total Lockout. 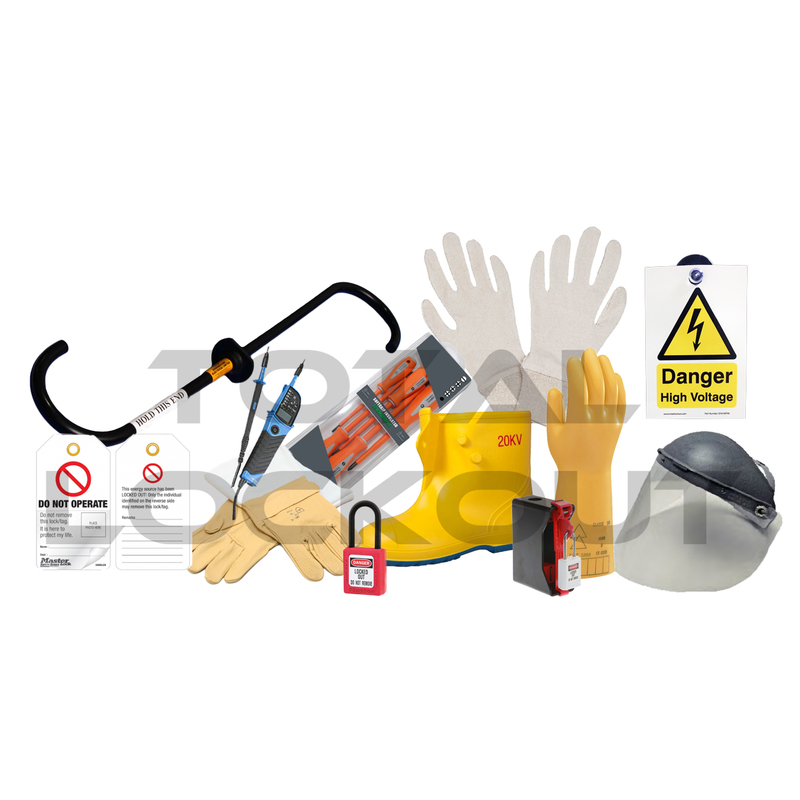 Rated to 1000 volts, these tools are specifically made to keep technicians and engineers safe whilst working on high voltage vehicle components, especially vehicle batteries. These tools have been available individually for nearly two years but very few vehicle technicians are aware of them or using them - WHY? Is it going to take the death of a vehicle technician to make people aware of these tools and how a small investment could save a life? I hope not! 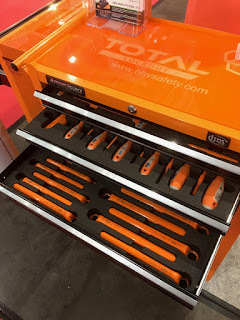 Having spent three days at The Battery Show recently it seems that leaders, engineers and managers are aware of the risks and talking about investing in tools and equipment to keep their teams safe, but talking is one thing, doing is another! One technician recently advised me that he winds insulation tape around his screwdriver to stop him getting electrocuted when dismantling a high voltage battery - unbelievable when a screwdriver pack that includes tools designed, tested and certified to 1000 volts is available for less than £50. How this technician (or his manager) cannot invest a small amount of money to protect his own life is beyond me! 5 Tool kits are available from stock and with prices ranging from £300 to £5,000 will fit most budgets; the best bit is that the EHV Safety team can build bespoke kits for any customer, laser etch the whole kit with the customer’s name, the engineer’s name or a serial number that identifies the tool or the kit for added security and protection - check out www.ehvsafety.com for full price lists, stock availability and options, and adding the discount code SW1018 on checkout gives each customer an added 10% discount on the order. As a sound engineer in my spare time, I use an enormous amount of 9volt batteries in microphones and almost singlehandedly keep the local battery recycling bin full. Fortunately the High Voltage batteries in vehicles don’t need changing as often, and at weights of anything up to 600kg that is probably a good thing! Almost every week vehicle manufacturers are announcing new and updated vehicles with some form of electrification, from 48v mild hybrid systems to the latest technology with battery power at 800volts. Over time every single one of these vehicles will head towards a vehicle recycling yard, some after many years and others quite quickly after being involved in accident or incident, and vehicle recyclers need to know how to handle these vehicles so that they can keep themselves, their staff and their businesses safe. An electric shock can have serious consequences - it only take 60volts and less than 1amp to kill - consequences that could also prove as devastating to the business where an electrocution occurs, because the Health and Safety Executive and the Environment Agency will start to take a serious interest in the operation before the lawyers of the injured staff member take over. Doing nothing - not the smart choice, because many will not be in a position to turn these vehicles away and untrained, unaware employees handling these vehicles is a recipe for disaster. Training themselves and their staff in awareness and understanding of these vehicles would be the first good decision, then they need to follow this up by putting best management practices into place that cover the collection, storage, de-pollution and dismantling of electric and hybrid vehicles. Salvage Wire have a WAMITAB accredited Safe Handling of Electric and Hybrid Vehicle training course available that has been specifically designed for vehicle recyclers, the course covers all aspects of these vehicles and gives all delegates the information and confidence to collect, store, de-pollute and dismantle these vehicles and the high voltage components that come out of them. 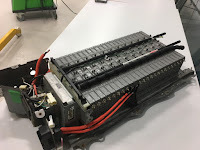 Battery storage is also very important - recyclers must have separate storage areas for each type of battery, making certain that the three different types of battery (Lead Acid, Nickel Metal Hydride and Lithium-Ion) are not stored together, and also that nothing can fall onto the batteries or that they cannot fall onto anything else. 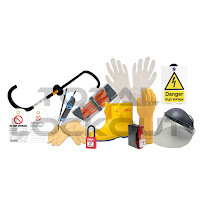 Owners and mangers also need to invest in the appropriate Personal Protective Equipment for their staff to keep them safe; this includes gloves, tools, voltage testers, signs and more; everything needed can be obtained from Total Lockout and readers of this blog can get a 10% discount by entering the code SW1018 when purchasing safety clothing, insulated tools, signs, accessories and high voltage kits at https://ehvsafety.com. Some vehicle recyclers are reporting difficulties in disposing of their high voltage batteries as their normal battery recycler either will not take these batteries or is charging for disposal. 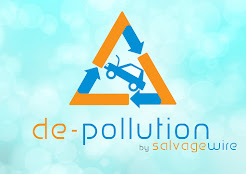 Working with Cawleys in Luton, Salvage Wire are developing a waste collection service for high voltage batteries (find out more at https://www.cawleys.co.uk/innovations/lithium-battery-disposal/) and investigating disposal solutions. Currently there are no facilities in the UK where these batteries can be recycled and the cells are being removed from the battery and shipped to Belgium for recycling. 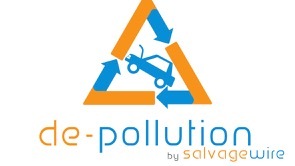 Obviously there will still be a cost but this will be minimised as much as possible with the Cawleys proposition - for more details and to arrange a quote please contact andy@salvagewire.com with details of the batteries you have available. Many may consider that these vehicles are dangerous, but they are no less unsafe than conventional internal combustion engines with a tank of flammable liquid at the back of the vehicle that is piped to the front, injected into a cylinder at high pressure and then exploded multiple times a second - at the end of the day you are comfortable with what you understand!